For neonates that suffer from metabolic diseases early detection and management of the diseases is required for optimal neurological outcome. 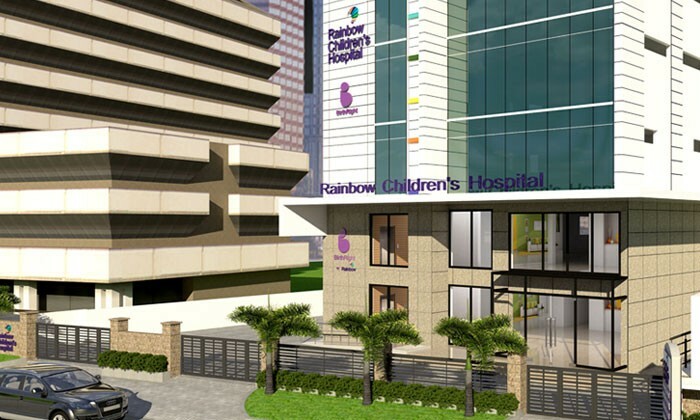 We, at Rainbow Children’s Hospital, provide pediatric metabolic expertise that include Newborn screening and high risk screening. We routinely screen babies for the following diseases: Congenital Hypothyroidism, Congenital Adrenal Hyperplasia, Galactosemia, cystic fibrosis, biotinidase deficiency Phenylketonuria, Fatty Acid Oxidation defects, Amino acid metabolic disorders, Organic Academia, Glucose 6 Phosphate dehydrogenase deficiency. Road No - 2, Banjara Hills, Near L V Prasad Eye Hospital, Next to Hotel Park Hyatt, Hyderabad - 500 034. Telangana, INDIA.